What are some full size service pistols that you can think off the top of your head? Glock. Smith & Wesson M&P. Springfield XD. HK USP. SIG Sauer P226. Walther P99. But what about the CZ75? Despite being one of the most acclaimed, popular, and widely issued pistols in existence, at least worldwide, it remains far behind in terms of popularity behind other pistols here in the states. This is unfortunate, because the CZ75 is without a doubt one of the finest pistols ever produced. One of the evolutions of the CZ75 is the CZ P09, a polymer framed pistol with an astounding 19+1 magazine capacity of 9mm Luger with the standard flushing fitting magazine. While CZs may not be as popular as Glocks, M&Ps, or XDs, they still have a respectable following in the United States, and the fact that their pistols are so widely copied says a lot about the design. Let’s talk about CZ and the P09 pistol in greater detail. 1 What Is The CZ P09? 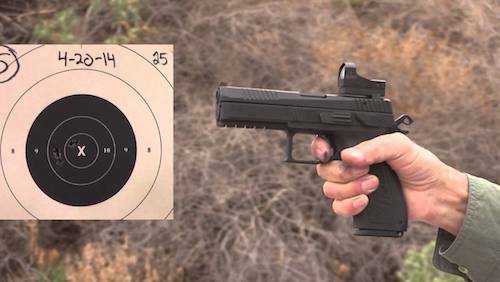 4 Why Should You Own A P09? 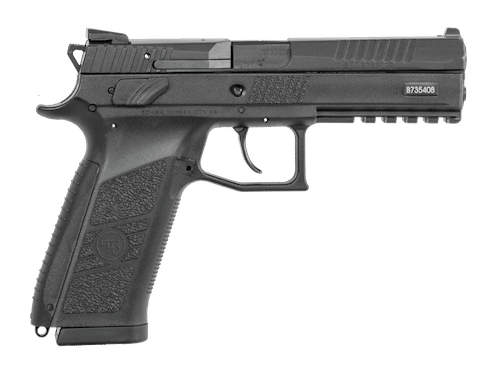 What Is The CZ P09? The CZ75 is one of the most classic examples of a Wonder-9 pistol: a metal framed, DA/SA 9mm autoloader with a double stack, large magazine capacity. Now imagine the CZ75 converted to a polymer frame with an enhanced magazine capacity, and you essentially have the CZ P09. In other words, the P09 is essentially a modern evolution of the CZ75. Now as a polymer framed pistol, the P09 is somewhat differentiated from its primary competitors in that it is a DA/SA weapon. Most polymer framed weapons have a single action only or double action only trigger pull, such as the Glock or M&P. Nonetheless, exceptions do occur. The Beretta Px4, for instance, is a DA/SA hammer fired weapon like the P09, and the Walther P99 is a striker fired DA/SA duty pistol. So really, the P09 is not all that unique, at least not in terms of the type of weapon that it is. 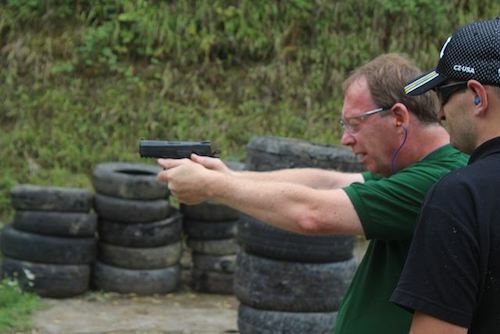 Nonetheless, offered at a price point of just around $499, the CZ P09 is highly competitive when it comes to cost, and this combined with the fact that CZ is known for making excellent pistols means that the P09 is definitely a viable option for home defense, duty use, target shooting, concealed carry (if you want to carry a full size duty pistol), or as a sidearm to have at your hip during an SHTF disaster. 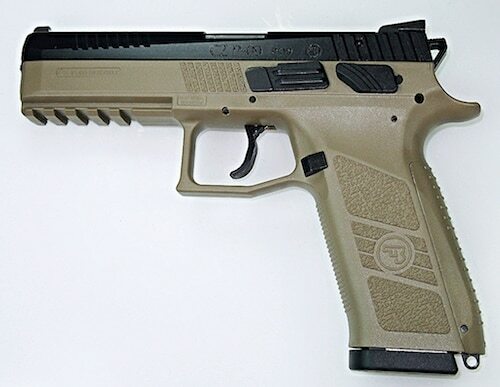 As has already been noted, the CZ P09 is a DA/SA polymer framed pistol with a 19+1 standard capacity in the flush fitting magazine, though you can also get larger magazines with an extended baseplate that hold 21+1 rounds. This means that the P09 has one of the largest magazine capacities of any 9mm semi-automatic pistol on the market, most of which have 15-17 rounds in total. Let’s talk about the DA/SA operation if the P09 for a second. First of all, yes, it does have a decocker and firing pin block so you can safely lower the hammer without having to manually do it yourself. In addition, the DA/SA has a MAJOR advantage over most striker fired pistols such as Glocks or M&Ps, and that is that it has double restrike capability. With any normal striker fired pistol, if you fire the gun with a round in the chamber and nothing happens, you’ll have to rack the slide to eject the failed round and then rechamber another round in an attempt to get it to fire again. With a DA/SA auto such as the P09, however, you can instead just pull the trigger again so the firing pin hits the primer again, which may or may cause it to go off. This could be a lifesaver in any defensive scenario where your gun fails to fire but you don’t have another hand free to fire the weapon, since you can just pull the trigger again instead (and hopefully, in that case, it will fire). The barrel of the P09 measures 4.5 inches and is cold hammer forged. The pistol also incorporates the Omega barrel design of the CZ 75. The P09, although already essentially being a variant of the CZ 75, is also available in a wide variety of different models. The base model sports a blued slide with a black frame. The suppressor ready model is practically the same exact gun, only it sports a grey frame with raised sights and a threaded barrel so it can add a suppressor. Another variant sports the flat dark earth frame with factory night sights. The grip of the P09 is designed to be as ergonomic as possible, and to this end, it sports aggressive checkering on the sides of the grips. Staying true to the CZ75, CZ engineers worked hard at ensuring that the P09 has a natural grip angle. The bottom of the frame sports a picatinny rail for adding lights and lasers, which is absolutely an essential feature to have in this day and age. Another big benefit to the P09 is its beveled magazine well, which makes inserting a fresh magazine much easier and more smooth. The P09 is a great gun from CZ, but is it a flawless gun? Hardly. Those magazines may hold 19 or 21 rounds of ammunition, but guess what, they’re also extraordinarily expensive and you can expect to pay nearly $50 for a single one. That’s a lot of money in contrast to the $20 to $30 that most other magazines are, and some magazines can be bought for closer to $10 depending on the make and model. Another flaw of the P09, though it may be rectified in the future, is the lack of strong third party and aftermarket support. Spare parts, upgrades, or accessories such as holsters will simply be more difficult to find for the P09 in contrast to many other more popular guns. Why Should You Own A P09? The CZ P09 is a pistol designed first and foremost for duty use, specifically in the hands of military soldiers or law enforcement officers. For the ordinary civilian, however, the P09 would be an excellent choice for home defense thanks to its larger size that tames recoil, light single action trigger for faster follow up shots, and large magazine capacity. 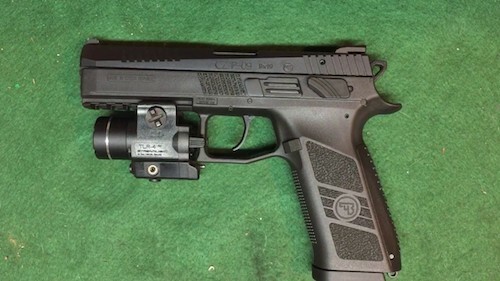 The ability to mount a light onto the P09 thanks to its Picatinny rail is also a major plus for home defense, as a strong case can be made that a light mounted onto your firearm is a necessity for any home defense pistol. The P09 may be a bit too big for concealed carry, at least for most people, but CZ also does make a more compact version called the P07, which is roughly the same size as a Glock 19. To conclude, the P09 is an evolved CZ75 with a lighter polymer frame and a lot of firepower. 19+1 or 21+1 rounds of 9mm is an impressive number of bullets no matter how you slice it. As a concealed carry weapon, the CZ P09 may be too big. But as a duty sidearm, it’s an excellent option and will shine in the role. CZ as a whole is a company that is too often overlooked here in the United States. From the CZ75 to the P09 to the P07 and most recently the striker fired P10C. They truly do deserve more attention, as their pistols are among the finest in the world, and the P09 is certainly no exception. I liked the review of the CZ p09, I have the CZ duty 75, and i just bought the CZ p09.Have not got to go out and shoot it so far.Maybe in the next few days i will have time. this is one the best hand guns ever made. shoots straight never fails will run any brand ammo you put in it. I got one for 400 dollars out the door. this cz po9 is a must buy.